Little, but in full accordance with the true proportion of doll house super cute, the most powerful thing is that it can open, pick up, free admission! 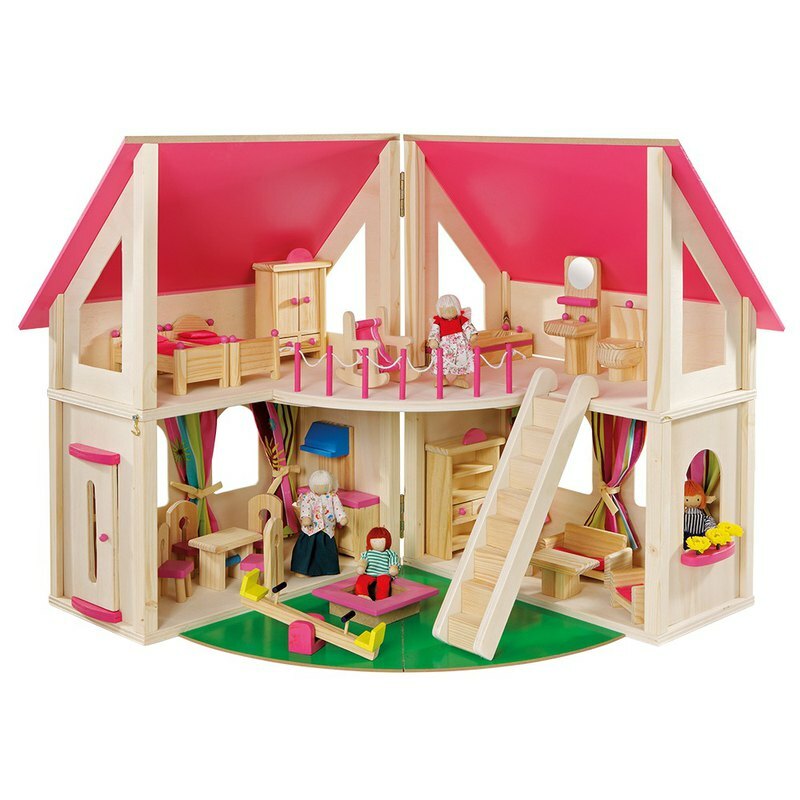 There are 4 rooms in the doll house, a lovely little balcony, a small garden with a play area, 21 pieces of furniture, and a family of four wood dolls. Let the children use their imagination and creativity to help the dolls create a variety of playful stories. Don't hesitate to join the doll house world! Height: 50 cm Width: 80 cm Length: 42 cm *Not applicable to children under the age of three. Due to some small items that may come loose, there is a risk of children jeopardizing eating.